There are several different ways to select an object on the artboard in Blend, so that you can then change its properties. 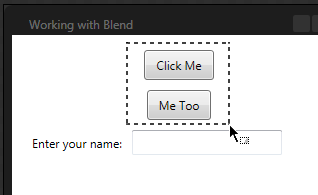 Method #2 – With the Selection Tool enabled, left-click and drag to select multiple objects. 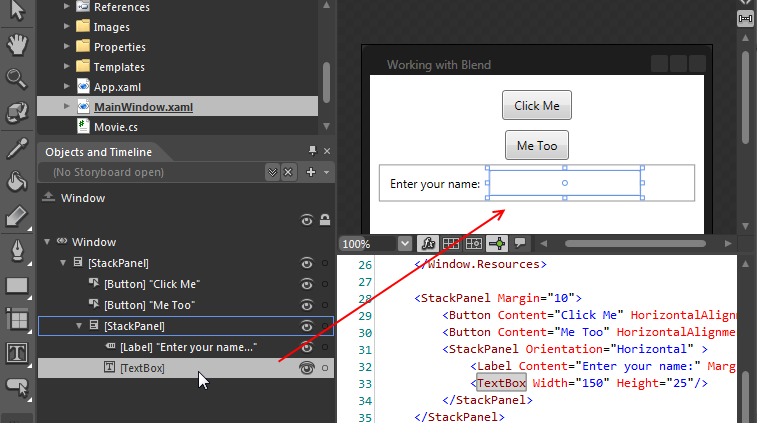 Method #3 – Select and object in the Objects and Timeline panel. 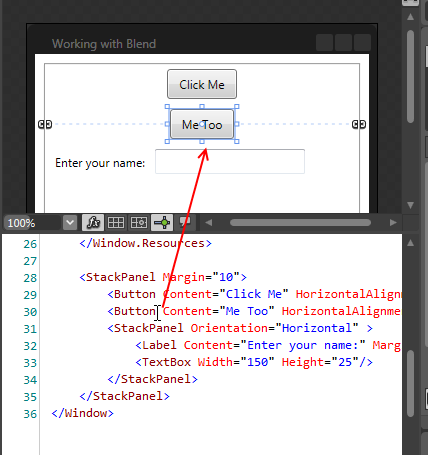 Method #4 – Left-click within a XAML element in the XAML editor.